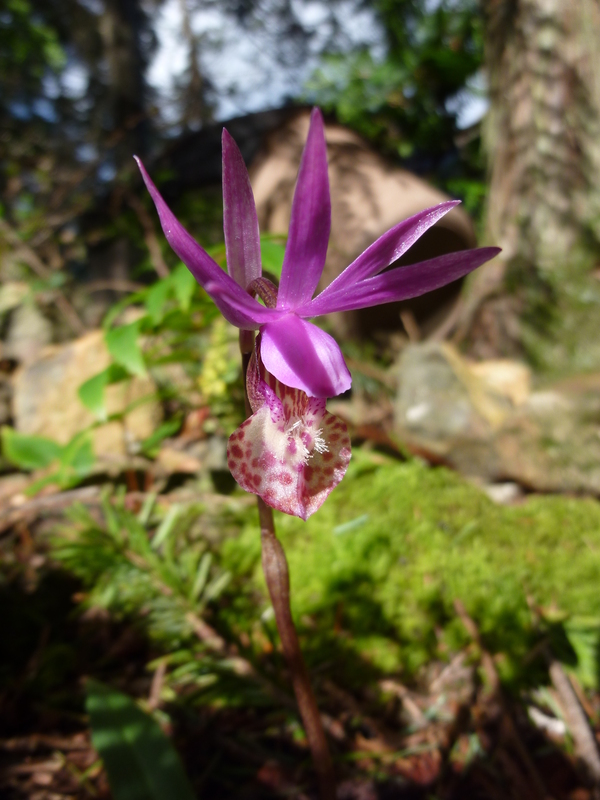 Our native Calypso Orchid - isn't she a beauty? The cooler wetter spring we’re having is rewarding us with extended bloom times. As our aquifer is recharging, both natives and ornamentals are flourishing (as well as the pesky weeds!). And for those who know where to look: the tiny Calypso Orchid — also known as the Fairy Slipper — one of 42 native orchids in Washington State. Taking the name “Calypso” from the Greek meaning “to hide”, she lives in seclusion, requiring just the right combination of shade, moisture and fungus in the forest duff to pop up in the spring. If you kneel down to take a picture, take care not to compress the ground around her. She doesn’t like that. And for heaven’s sake, don’t dig her up – she won’t survive! A clan of Calypsos peeking above Broadleaf Starflower in my woodland garden. They're thriving this year because I put a fence around them to create a "fairy garden." 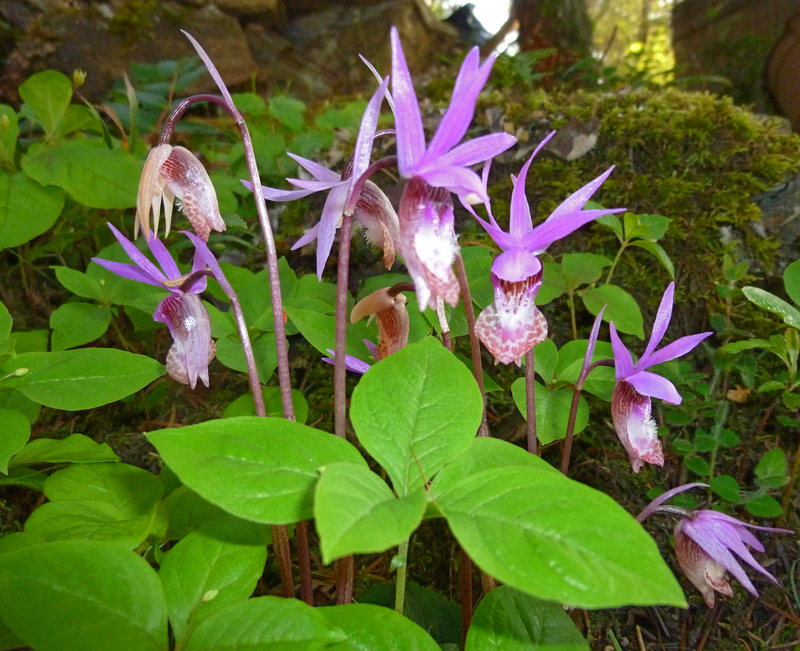 We have the ideal climate for the Calypso Orchid on Orcas Island, but if you’re interested in trying to grow this pretty, you must be very patient – she can germinate for years before sprouting a tiny leaf the size of your fingernail! A good source for growing tips (and also for bulbs and seed) is The Calypso Orchid Company. Now that you know how delicate she is, next time you discover her you’ll have a new appreciation for our little native fairy. Walk lightly! 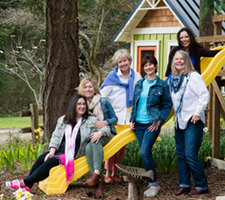 Looking to enjoy the simple life on beautiful Orcas Island? Contact T Williams Realty – we’ll help you find your way home. Sandi, I saw lots of these beauties blooming on the south end of Lopez over Easter weekend. Thanks for the info! I’d love to see if I could get some started on our property. Have you done a real search in your wooded areas? They might already be hiding in there!